We can supply part# LMP90097MHE/NOPB, use the request quote form to request LMP90097MHE/NOPB pirce and lead time. 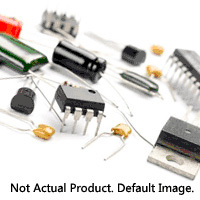 Source Electronic Components - www.ic-stocks.com is an independent stocking distributor of electronic components. With 3+ Million line items of available electronic components can ship in short lead-time, over 300 thousand part numbers of electronic components in stock for immediately delivery, which may include part number LMP90097MHE/NOPB.The price and lead time for LMP90097MHE/NOPB depending on the quantity required, availability and warehouse location.Contact us today and our sales representative will provide you price and delivery on Part# LMP90097MHE/NOPB.We look forward to doing business with you.